Very Good. No Jacket. Book. 4to-over 9¾-12" tall. Softcover. Condition: Very good, with just a hint of shelfwear to covers. Binding sound, no inscriptions.112pp. Many colour illustrations. 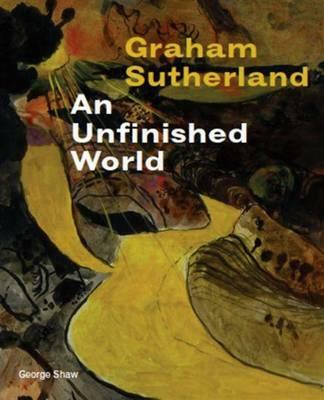 This catalogue was published to accompany the exhibition of work by Graham Sutherland held at the Museum of Modern Art, Oxford from 10 December 2011 to18 March 2012. The exhibition brought together over 80 rarely seen works on paper, featuring the early Pembrokeshire landscapes from the 1930s, the devastation works of the intervening war years and Sutherland's return to the Welsh estuaries and coastlines in the 1970s. Very Good. 1901352536. 2011 clean bright copy. Exhibition catalogue. First edition, 2011. 112 pages. Illustrated in colour throughout. Small mark to fore-edge. Very good. We are specialists in Catalogues: Exhibitions, Auctions, Collections, etc., with a picture of the cover available on request. All items are as described and dispatched within 36 hours in a secure package. We are professional booksellers with over 35 years experience, you may order with confidence. New. 1901352536. *** FREE UPGRADE to Courier/Priority Shipping Upon Request ***-*** IN STOCK AND IMMEDIATELY AVAILABLE FOR SHIPMENT-Flawless copy, brand new, pristine, never opened--112 pp. ; 93 illus. (91 in color. ) --with a bonus offer.